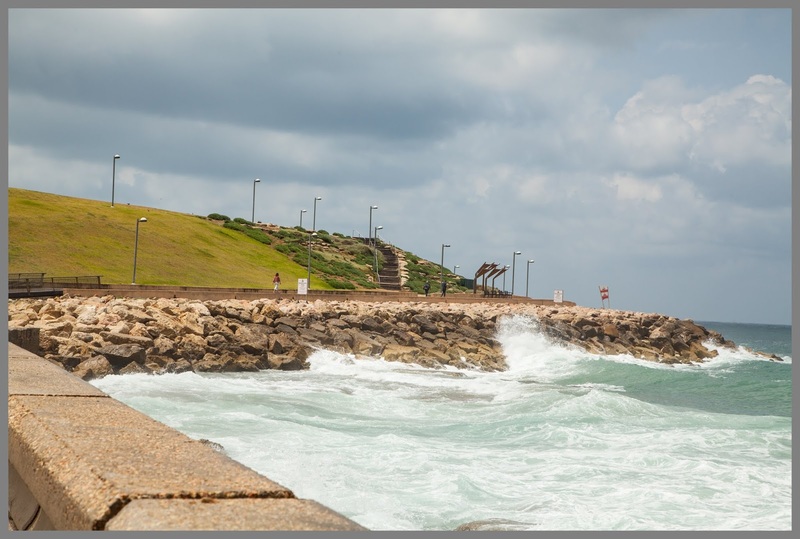 Just to make sure that the location and the general environment of the rest of the pictures is clear, this is where they were taken: along the Jaffa seaside promenade. 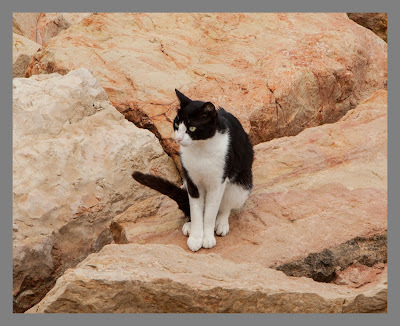 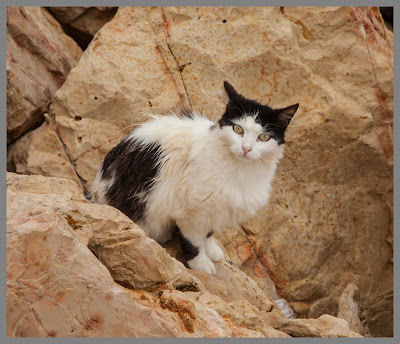 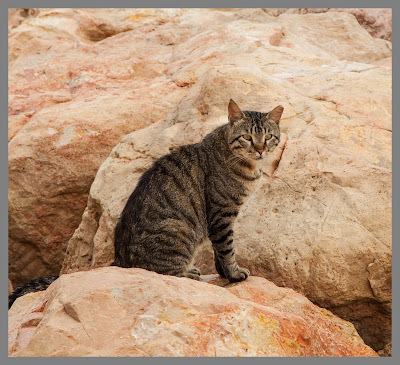 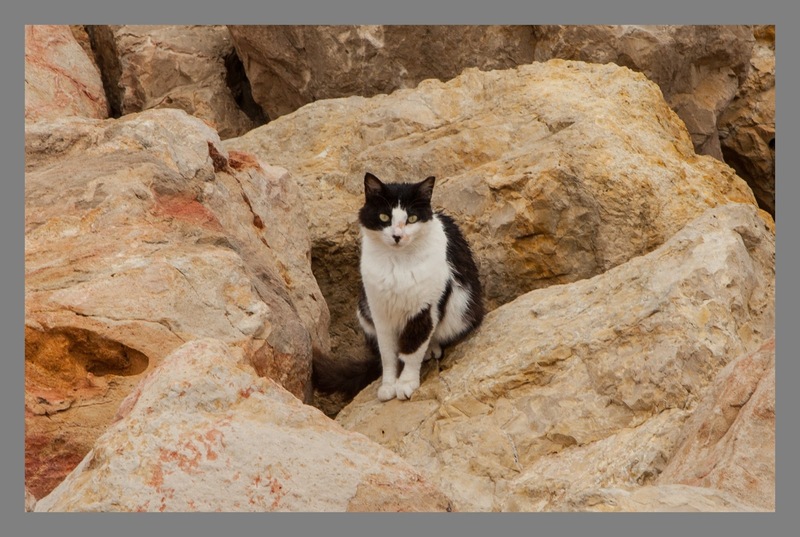 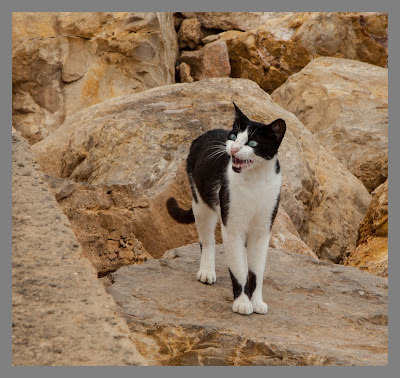 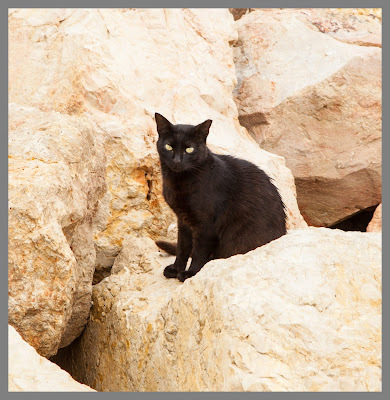 The rocks, apparently brought in to protect the shore from erosion, provide a kind of a safe space for a sizable feline population, a small part of which is presented here. Notice that the tuxedo (black and white) cats presented are not several shots of the same cat.